Sometimes simplicity can be overlooked for the dazzling, dramatic and desperate for attention. This is often the case with perfume, as it is in real life. We are often drawn to those fragrances that make a statement, whether that be because they present something new or unique, or simply because they shout louder than the others within close proximity. But there is something attractive about the simple and the laid back – a pleasing clarity that is undemanding and minimalist. Beauty without fuss, whilst not being the most immediately eye catching, feels a little bit easier to get along with in the long-term. When the constant din of the loud and dramatic wears thin, the soft and subtle hums along without any conflict. 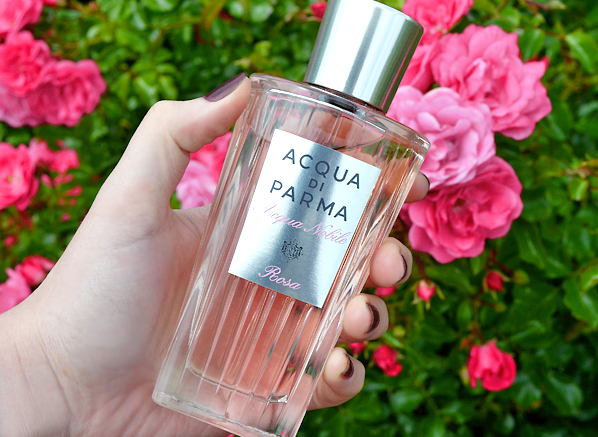 Last year Acqua di Parma launched Rosa Nobile, a beautiful rendition of blush pink roses on the bush. This gem-like rose was the perfect representation of paired-back simplicity and it presented roses in a ‘straight up’ manner, with lots of hissy citrus, sweet petals and sharp thorns. Funnily enough, crafting such a photorealistic rose isn’t easy work due to the fact that the materials extracted from the flower don’t smell like the real thing in nature. There is a lot of work under the hood required to craft something so simple, but it’s well worth the effort and Rosa Nobile is a testament to the art of perfumery, where nature can be caught, repackaged and enjoyed on the skin all day long. Following up on the success of Rosa Nobile, Acqua di Parma have launched a limited Eau de Toilette version called ‘Acqua Nobile Rosa’. Rosa is inspired by the same “stroll in an Italian rose garden” as the Eau de Parfum however, the idea is that this version is lighter and less sensual than the original, resulting in a fragrance that focuses more heavily on citrus and rose water to create an impression that is somewhat ethereal and air born. 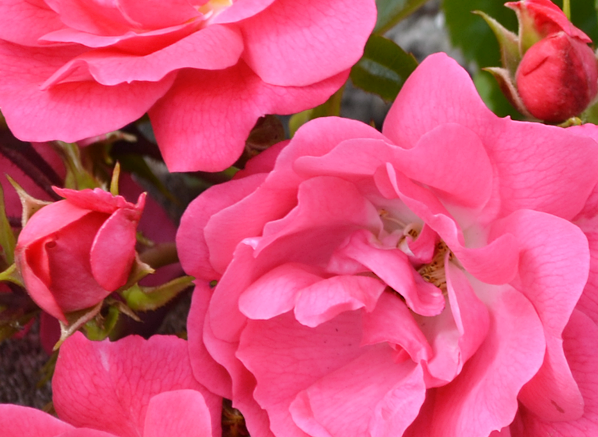 This is the smell of roses in the air, rather than the flowers inhaled up close, and you’ll be pleased to know that it’s just as pretty as Rosa Nobile. I know that I certainly am. Acqua Nobile Rosa opens with rose and citrus. There’s a tangy, orange-like feel to the citrus at first, but as things settle the effect becomes richer with tart blackcurrant folding nicely into the subtle jammy tones of the rose. Initially, Rosa feels quite fizzy and it sparkles like an iridescent fabric sprinkled with glitter that refracts the light from a variety of angles. The texture is silky and soft, shrouding the wearer in a cool veil of pale pink roses. The biting green nuances of Rosa Nobile are alive and strong here, and I’d even go as far as saying that the eau de toilette is greener still, and definitely more aqueous and dewy. Large rose buds bob along the top of a calm pond, but these flowers are a touch paler than in the original, and they’re more powdery too, throwing forth a distinctly cosmetic vibe at the very heart of things. For what seems like a simple rendition of rose on the surface, quickly reveals a huge amount of depth and creativity, proving that it takes a lot of work to appear so perfect. In the base Acqua Nobile Rosa succumbs to a light, airy and powdery dose of floral musk. The rose carries right through to the end – in fact, I’d say that the development is relatively linear, and that Rosa possesses a distinct identity throughout. Things do get progressively sweeter and teeter on the edge of gourmand territory with more than a few nods to decadent rose macarons, but the transparent nature of the musk ensures that Rosa never feels entirely edible, just nearly. Acqua Nobile Rosa is a worthy follow-up to the resplendent Rosa Nobile. The original was hardly a powerhouse, but I feel that this lighter and more ethereal interpretation captures Rosa Nobile from a different angle, creating a soft summer breeze rich with the scent of roses and citrus. I can see it appealing to those that want something a little more stealthy for work, or as a beautiful alternative to a traditional eau de cologne to spray on with reckless abandon during the hot summer months. This entry was posted on Wednesday, June 24th, 2015 at 3:12 pm and is filed under Candy Perfume Boy, Fragrance. You can follow any responses to this entry through the RSS 2.0 feed. You can skip to the end and leave a response. Pinging is currently not allowed.